New Delhi, Jan 28:A Delhi court on Monday granted bail to former Railway Minister and former Bihar Chief Minister Lalu Prasad, his wife and son in a money laundering case related to the 2006 IRCTC hotels maintenance contract. 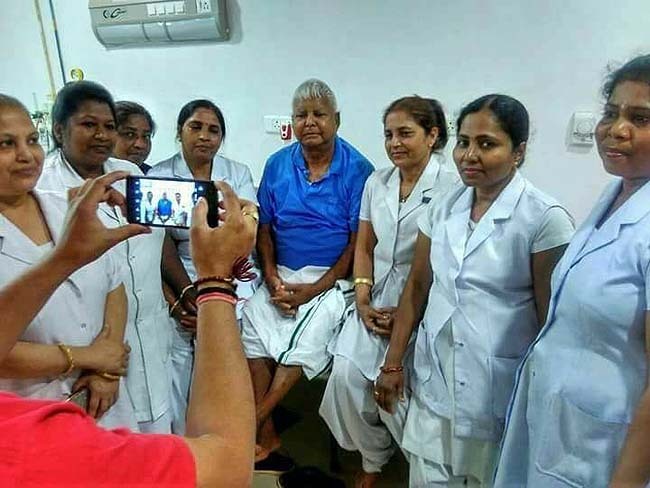 Special Judge Arun Bhardwaj granted the bail to Lalu Prasad, his wife and also former Chief Minister Rabri Devi, their son Tejashwi Yadav and others asking them to furnish a personal bond of Rs 1 lakh and a surety of like amount each. The Delhi court was hearing a case related to alleged irregularities in the allotment of contracts of the Indian Railway Catering and Tourism Corp (IRCTC) hotels in Ranchi and Puri in 2006 to a private firm, for which a three-acre commercial plot at a prime location in Patna district was allegedly given as a bribe. The CBI and ED had named Lalu Prasad, Rabri Devi, Tejashwi Yadav and others as accused in the chargesheet. Rabri Devi, Tejashwi Yadav and others were granted regular bail.